One of the things that happens when couples have a baby, is that they stop talking to each other. At least, they stop talking to each other in ways that are interesting and intimate. Gracious and generative. Curious and kind. Of course, this doesn’t happen to every couple, but it’s rare when parents don’t submit to the overwhelm that comes with a new baby. Ultimately, I think parents forget how to talk to each other. They get really good at managing tasks, but not so great at getting underneath the surface. This part of a relationship – when your kid is still on suicide watch (roughly 0-3), it’s important that you find ways to reconnect, to re-engage, or minimally to remember. One way to do this it to commit to asking questions. Not “yes” or “no” questions. Not practical or tactical questions. Actual questions designed for discovery and discussion. Try asking your partner these questions, but only when you’re prepared to hear the answer. What’s one thing I should ask you about later? This question belongs at the front of your day. It’s meant to replace the tactical/practical questions you ask at the end of your day. It’s so easy assume you know what your partner’s day is all about. And then to pass judgment at the end of the day when your assumptions don’t match up with reality. Maybe he has a big appointment in the afternoon. Maybe she does. Maybe today is the day the baby might roll over. Maybe today is the day you might try to duct tape the baby to the kitchen sink. Asking this question in the morning and then following up later in the day is a great to to stay connected on a daily basis. How might we re-write our vows? Knowing what you know now. What might you change about your vows. Or, if you’re not married, how might you write your vows knowing that a baby disrupts the best laid plans? How does the baby reframe phrases like “for better and for worse”, “in sickness and in health”, “for richer and for poorer”. Again, knowing what you know now, if you could go back and restate your commitment, what would you say? Whatever you do, keep your partnership primary. What does mom/dad mean? The notions of “mom” and “dad” are powerful. And more often than not, we haven’t put a ton of thought into what they mean. We sort-of passively inherit our ideas about parenthood. Ideally your parents have passed down wise and wonderful lessons; but even the absent and ignorant and abusive parents taught you something about adulthood. When you choose to become parents, these lessons sneak up on you and they frame the way you become your own version of mom or dad. Talk about that in advance and as you move through your parenting journey. Just because you thought something last week, or last year, doesn’t mean that you still think it now, or that you’ll think it later. Ask this question over and over as you parent together. What is your dream? It’s really important that you stay aware of and in pursuit of one another’s dream. It can be a vocational dream, a recreational dream, a family dream, even an impossible dream. 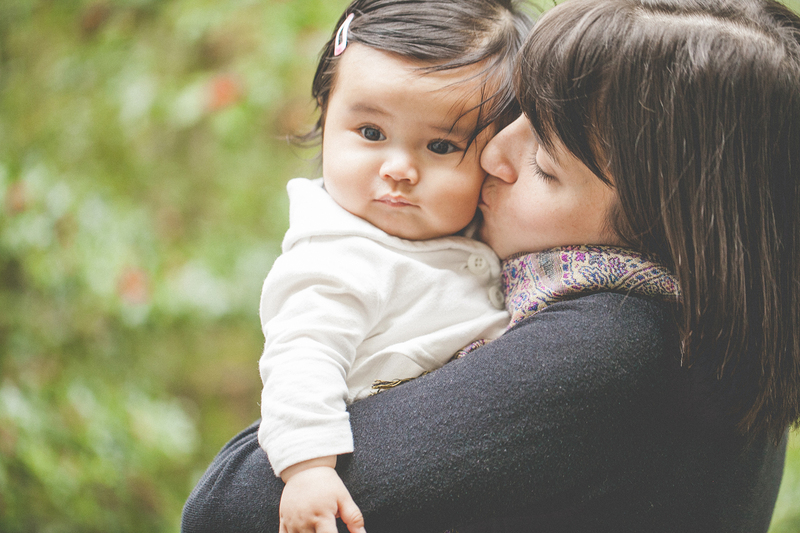 When women become mothers, there’s a cultural assumption that she’s achieved her dream. But this isn’t necessarily, or even often true. Men need to know and honor the dreams of the women they love. Men have dreams too, of course, but the work of honoring a woman’s dream requires unique attention, perhaps because of those cultural assumptions. And it’s important to expand your dreaming beyond the limits of what it means to be parents. Your kids will go chasing dreams of your own one day. What will you do then? What’s it really like to be in a relationship with me? Use this question to explore the best and worst, the highs and lows, the ins and outs of what it means to be moving through life together. Relationships are made up of phases, and parenting is just one phase. What’s it like to be in relationship with you as a parent (or any other category: teammate, lover, drinking buddy)? Really? Ask with a curious and compassionate mind. This might be difficult as new parents, but your partner is is your best asset to help you become a better partner. Leverage that asset. These are intentional questions. They’re supposed to draw you into a deeper intimacy. That’s the point of a relationship: Intimacy. And intimacy in conversation is especially important for new parents. Remember. You love, and you like, this person that you’re co-parenting with. Talk to them. Be curious about them. Be interested in them. It’ll help remind you that the baby isn’t necessarily the most important relationship in the house. *This article is adapted from the free eBook 20 Questions for Deeper Connection, which you can find at www.forBetter.us. Zach Brittle is a licensed mental health counselor and Certified Gottman Therapist based in Seattle, Wa. He is the founder of forBetter, which offers online courses for couples, and the best-selling author of The Relationship Alphabet. His writings and insights have also been featured in Verily Magazine, Psych Central, Happify, Men’s Health Magazine and the Washington Post. He has been happily married to Rebecca for 18 of 19 years – year #8 was pretty rough. Together, they have two daughters (9 & 13), a minivan, and most of the silverware we got as wedding presents.